The Service International Employees Union – the same union that will be shutting down traffic around Los Angeles International Airport on Thanksgiving Eve – has admitted that a staffer requested that union members stack a legal petition with fake names to sink it. 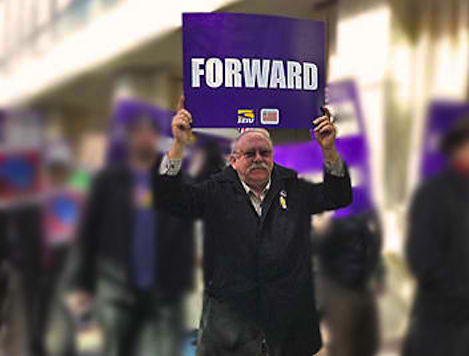 The petition is the brainchild of former Los Angeles Mayor Richard Riordan, who wants to put a measure revising public service employee union pensions on the ballot. SEIU 721 in no way recommends that its members or anyone else falsify signatures on any petition. We are firmly against that kind of behavior. The email in question was sent without the knowledge of the union’s leadership. The person who sent the email has been disciplined for his action. According to Thompson, the email probably reached “very few” members. Thompson added that it was sent from a personal, not a work email, and wasn’t an official union communication. We need Union members hitting the streets signing Riordan’s petition with fake names/addresses and gathering retraction signatures from LA residents on our own petition. We need people power starting this Saturday. This is union thuggery at its finest. And the consequences will be nil – at least with a union-label President and his rubber stamp National Labor Relations Board in power.